The designer behind 'Masengo Designs' is Adele Masengo Ngoy. Based in Portland, Maine, Adele has over 30 years of experience in the fashion industry–dating back to her accomplishments as a university fashion design student in her country of origin, the Democratic Republic of Congo. While living in the Congo, Adele designed clothing for the elite. 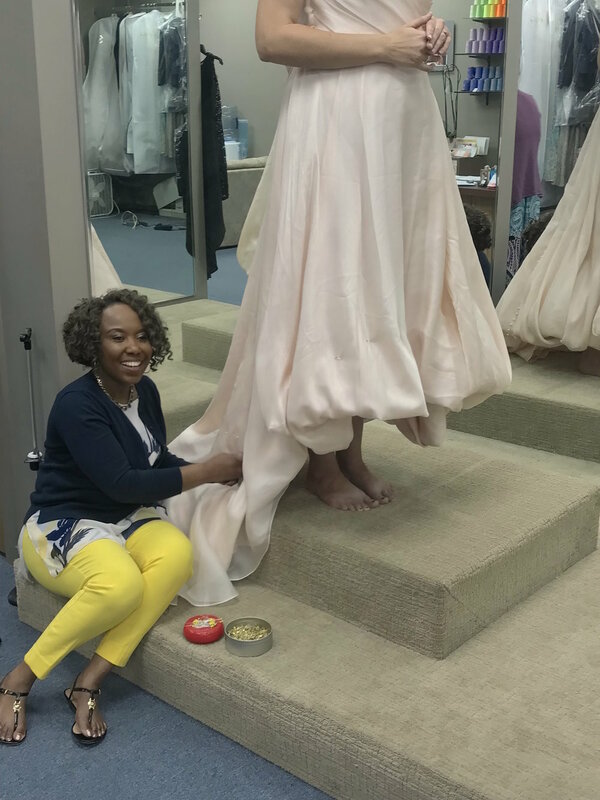 Adele is a talented tailor and designer who can create anything you dream up, including original custom wedding gowns, special occasion attire, and everyday business wear. She is especially known for her ability to perform intricate alterations, her authentic designs and her ability to create them from scratch, which she has done for women of all shapes and sizes, worldwide.